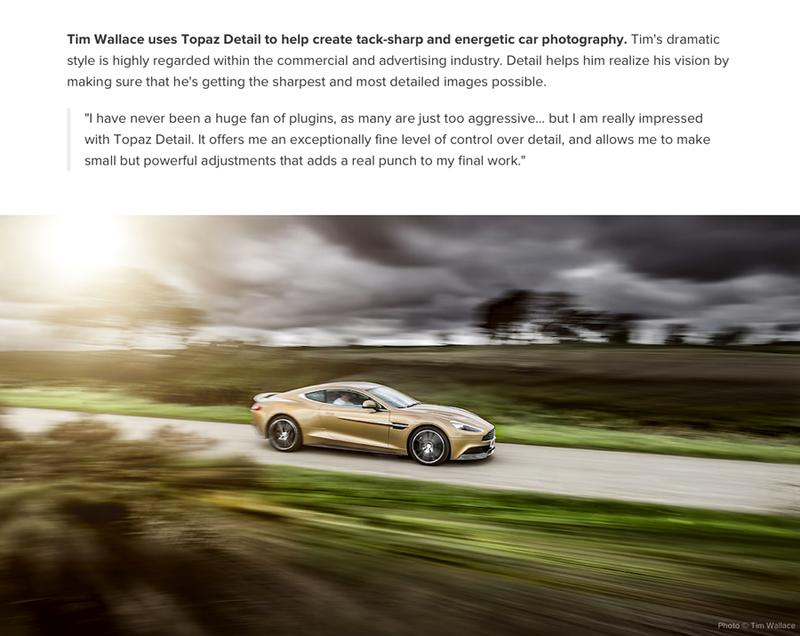 This week saw the US based Software giant 'Topaz' feature the work of commercial automotive car photographer Tim Wallace as a demonstration of their 'Detail' plugin that is now available. 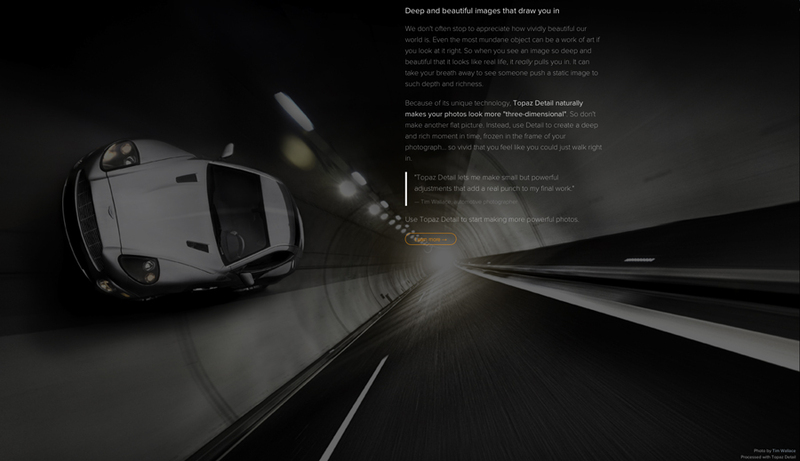 Topaz Labs is a privately owned company that are based in Dallas Texas, that specialises in the development of imaging based technology and 'plugin' software products for photographers and videographers. 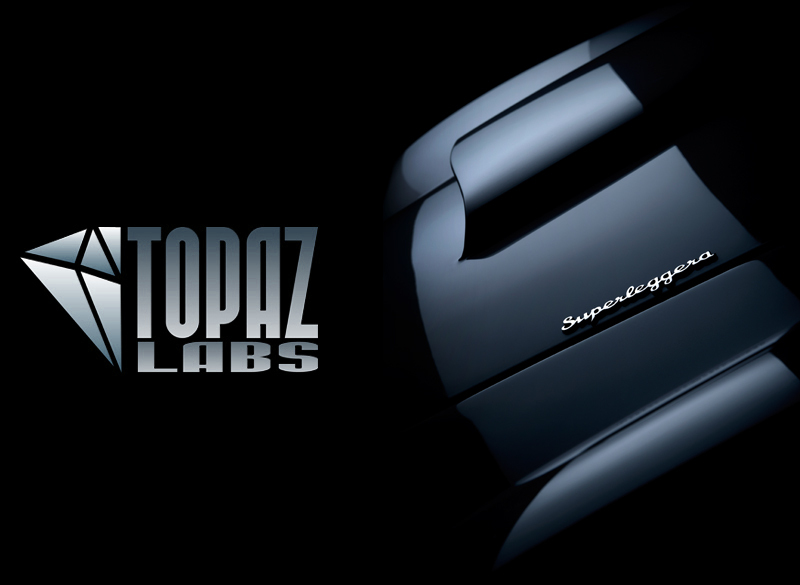 Topaz Labs is a privately owned company that are based in Dallas Texas, that specialises in the development of imaging based technology and 'plugin' software products for photographers and videographers. 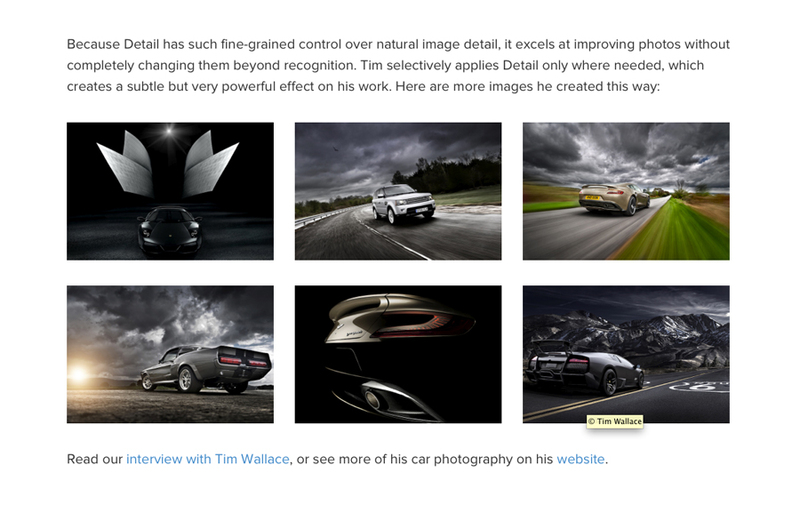 Tim has been working with Topaz for a number of months now to both test and look at their new development as well as feedback his own options and thoughts of what he feels is most useful to photographers such as himself today. 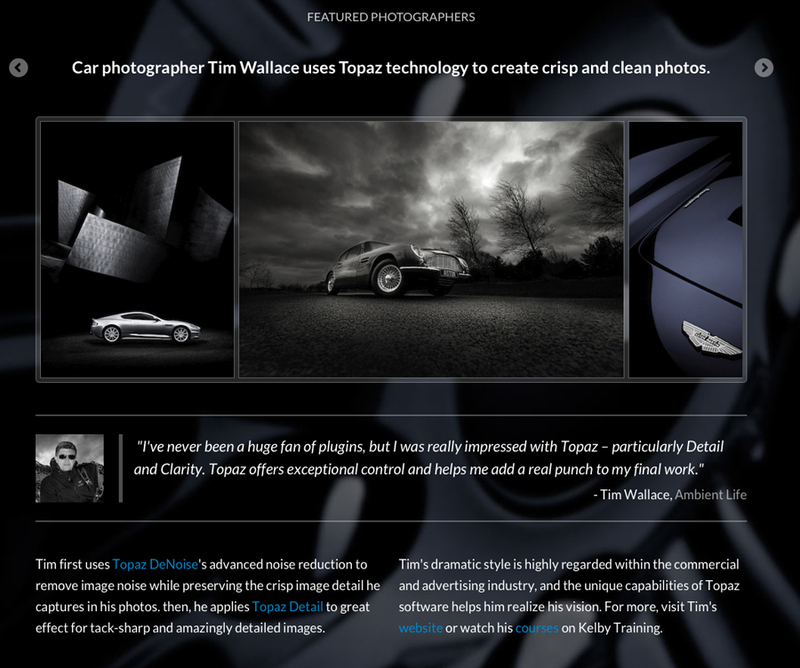 The Topaz range of products has recently been extended with some new and very exciting tools that are now available and Tim's featured work on the front of the main Topaz site demonstrates a little how Tim has made use of some of the product line up within his own professional workflow.